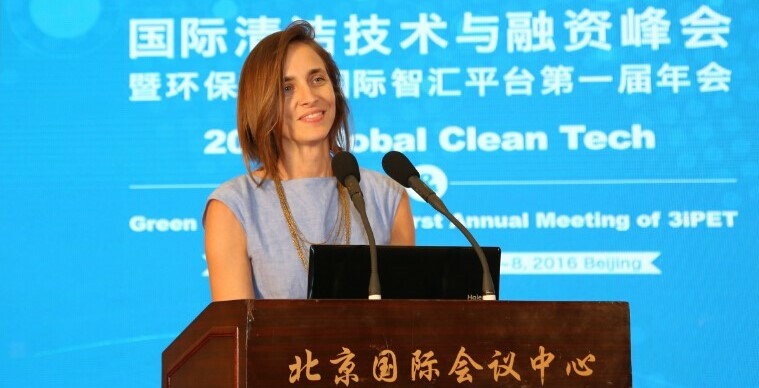 On June 16, 2016, U.S.-China Cleantech Center member OriginClear, from Los Angeles, won the inaugural China BlueTech Awards along with PaveDrain from Milwaukee. 30 entrants from Europe, Israel and North America focusing on water and wastewater technology with the immediate ability to be absorbed into the Chinese market contested the award, and the finalists were chosen after the original list was whittled down to six companies. The judges were a panel of five Chinese water treatment experts, including a professor from Tsing Hua University in Beijing and an engineer from Siemens China and the contest between the six finalists took place during the BlueTech Innovation Pavilion at Aquatech China, an important water industry expo in the country. OriginClear’s Electro-Water Separation (EWS) technology impressed the judges with its low operational cost and its marked improvement over existing water treatment technology. EWS is built on electrochemistry and can tackle some of China’s most recalcitrant types of hydro-pollutants. It can be incorporated as a modular add-on to established treatment sites or can be built as a standalone process flow. As per multiple reports, the competition provided a great platform for the company to prove its efficacy for entry in the Chinese market. In response to the victory, Jean-Louis Kindler, President of OriginClear, stated, “Winning this award is a strong endorsement and recognition of the attractiveness of our solution for the industrial wastewater treatment market in China.” Jean-Louis first visited China in 2015 as part of UCCTC’s Clean Water CEO Trade Mission, which provided him with the opportunity to discuss OriginClear’s strategy, short-term objectives, and long-term objectives with policy-makers, industry professionals, and prospective customers.